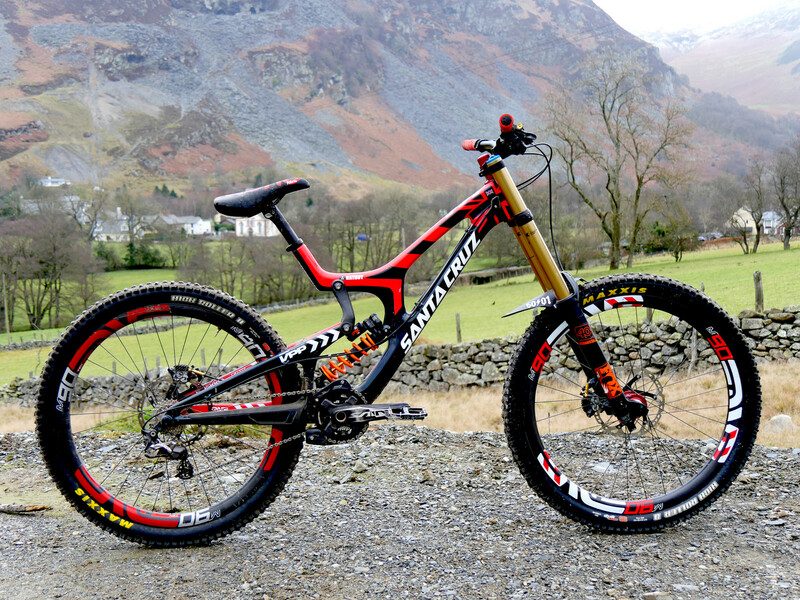 This is the same frame with custom paint that Josh raced at World Champs in Val di Sole. At first glance it looks like a black and red bike, but upon closer inspection, the deep blue over carbon is revealed. The V10cc has been built up with some different components than we're used to seeing on the circuit. Parts from Burgtec and Fabric grace the build now that his contract with Santa Cruz Syndicate is up and he has a frame-only arrangement with Santa Cruz, giving him freedom to choose his own parts. Rat gives us the lowdown on some special parts and projects in the making around his V10. 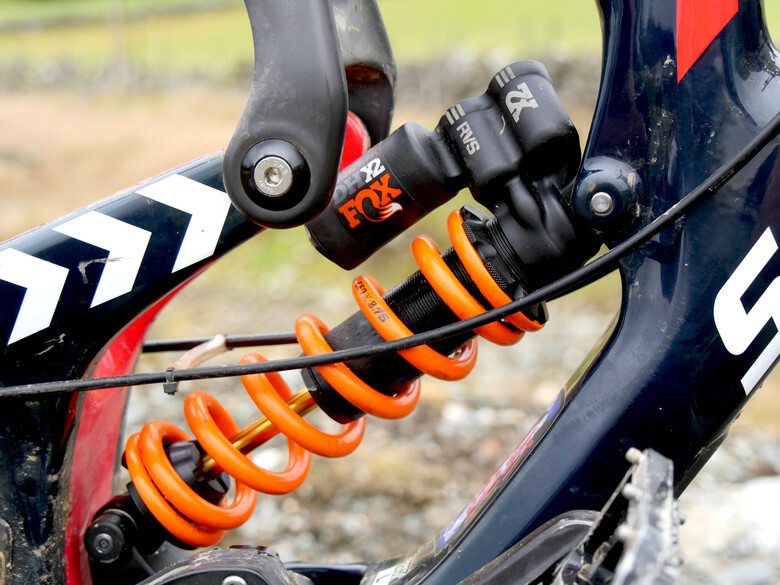 Santa Cruz V10cc, size Large but with a 10mm-longer bottom link to stretch the wheelbase a bit. Burgtec RideWide bars, 10mm rise, 800mm width and Burgtec stem at 60mm. Josh is working with Burgtec on a custom-bend version of the bar that is motocross-inspired. Fabric Grips and Saddle - Josh is working on signature products with Fabric. 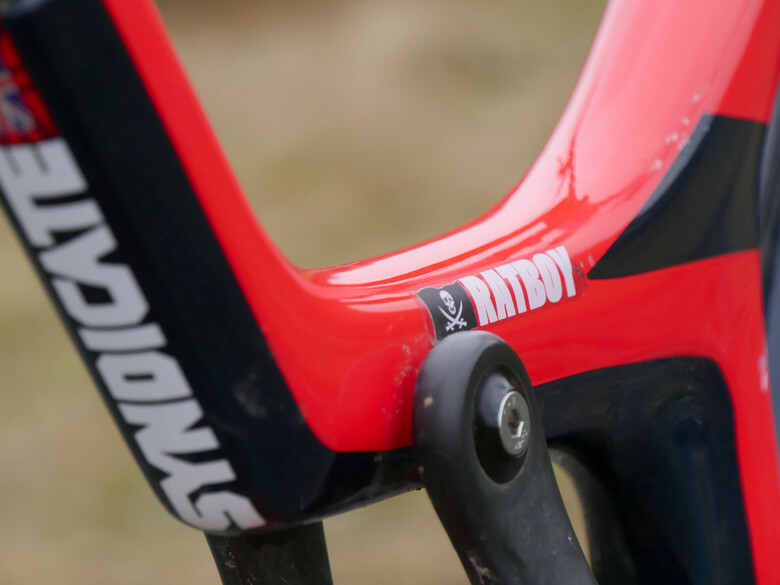 The saddle is a BMX-inspired designed with a shorter, stubbier nose and rounded edges and grip points to minimize discomfort and catching when maneuvering the bike. The grips he's working on will have an ergonomic interior with soft, comfortable grip area. 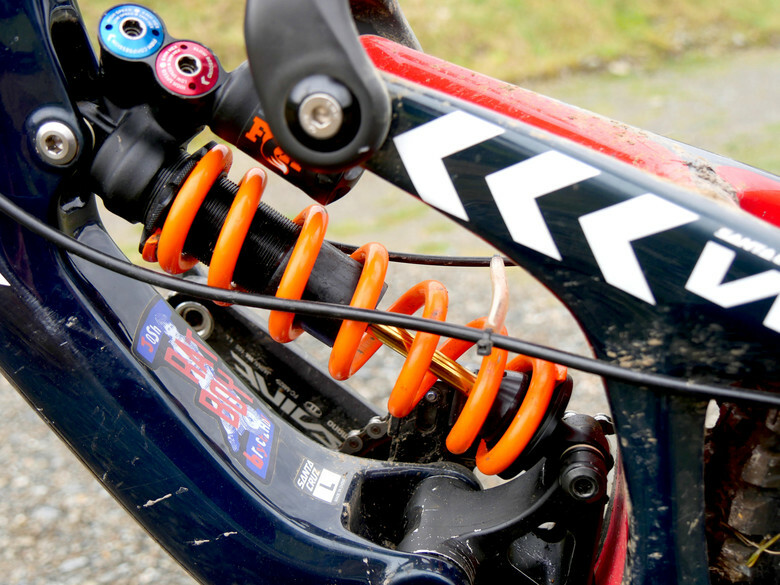 FOX suspension including a 40 RC2 fork and DHX2 coil rear shock. He runs it "stiff and slow." I thought he liked his suspension quite soft?? Don't remember where I read that but guess I was wrong? Custom stickers are so underrated. bike check for his 5010 please, thank you. He now riding Hightower for NZ EWS. Anyways I'm still loving to see his 5010 bike check!